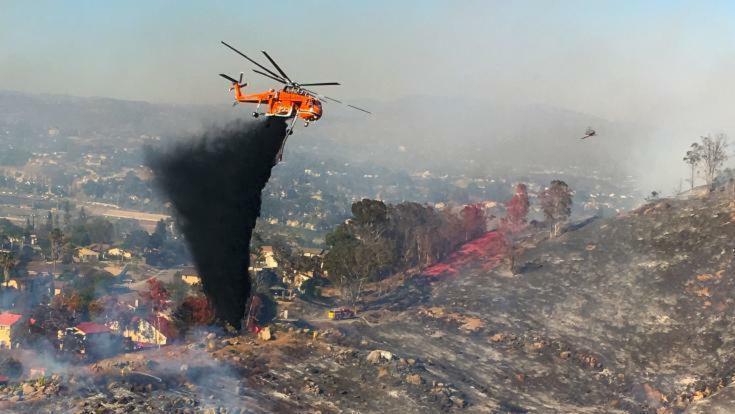 The Aircrane contracted by SDG&E was used to battle fires across the region. The helitanker dropped some 25,000 gallons of water on the #BuildingFire in Dulzura and #WestFire in Alpine. http://ow.ly/AaO430kQjiDA man who was caught looting homes vacated during the West fire in Alpine in July was sentenced Friday to nearly five years in state prison. Ardian Iseni, 30, was convicted last month of residential burglary and attempted residential burglary. The 500-acre West fire — which broke out July 6 — destroyed 34 homes and 21 other buildings and damaged another 20 homes and buildings. Iseni — who was on probation for a separate burglary in the East County — was arrested the next day, while some evacuation orders were being lifted. Deputy District Attorney Shane Waller said a neighbor saw Iseni peering into the window of a home and jiggling the doorknob while carrying a woman’s purse with jewelry inside. Other neighbors detained Iseni until sheriff’s deputies arrived to arrest him in the 1500 block of Highland View Road near Viejas Creek.